When Pokemon Go was released in July 2016 I did not play the game for 2 main reasons: I was on a prepaid mobile plan so I didn’t have any monthly mobile data and my phone was too old to support the game. 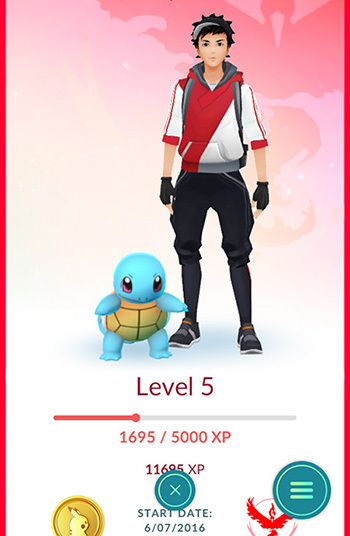 All I did on day 1 was install the game at home using wifi, catch my first Squirtle and that was it. After that I couldn’t even log in any more for some reason. Nothing has ever spawned in my house which I’m fine with because you’re supposed to go outside to play. Looking at the game as a non-player, I made fun of the game and kind of just ignored it for a while. I didn’t like how there was no connection with your early pokemon because you would catch better ones later. I also didn’t like how you could just catch a Dragonite right away if you were lucky. At the end of September I got a new phone with a small data plan, so I started playing. I joined Team Valor because the rest of my family who were already playing was Valor even though I think I’m more of a Mystic at heart. I wanted to power up and ‘train’ my starter Squirtle but quickly found out that that was not a good idea sadly especially since the Squirtle’s IVs weren’t great. 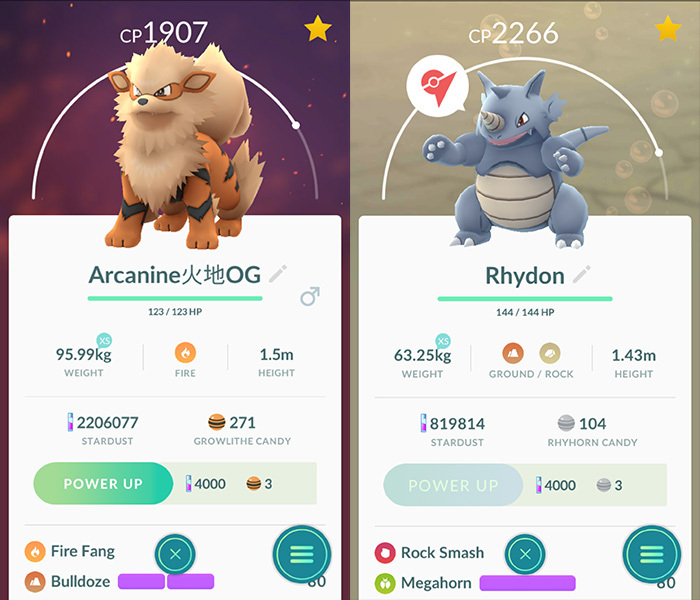 Sadly Blastoise just isn’t that great either and stardust is super valuable and hard to stock up in the game. Both were caught in November 2016. They did not have good IVs or good moves but they were my best for the longest time and I will forever keep them to remember the good old times. 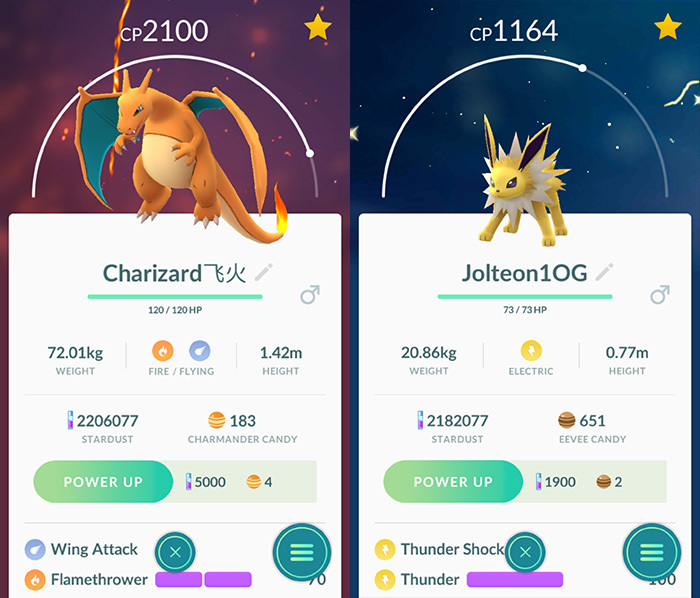 Charizard was caught in January 2017 and was my favourite to use to take down grass types like Venusaur and Exeggutor. Jolteon was caught in Novemeber 2016 and was my go to for training up gyms against Gyarados. I also had a pair of Tangela that I used a lot to train against Rhydons and Vaporeons that I dubbed ‘the Tangela bros’. Congrats on reaching level 40!! haha took you long enough to join us, but then I was quickly overtaken…… XD I remember the good old days when there was no appraisal and IV was kind of a “notional thing”. CP was everything for me.. also loved coming across pokemon with ??? CP. Wished you joined me to experience the Rhodes Park hype (before it was taken down!) I think I caught over 75% of my Pokedex from there haha..and my DUDONGS and SNORLAX were my favs!